In 2014, Apple announced a new proprietary GPU programming framework to augment OpenGL ES: Metal. For the first time in the history of the iPhone, it was possible to program the GPU for something other than graphics. Unlike OpenGL, Metal was designed to allow for general purpose GPU programming. The applications of GPGPU programming include machine learning, image processing, and neural networks. During this talk, you will be given an overview of how to take advantage of GPGPU programming on the iPhone. We will go over what exactly GPGPU programming is and what kinds of applications are available to you in that space. Janie Clayton is an independent iOS developer and graphics programmer. Janie is the author on several books on iOS and Swift development, including the forthcoming "Metal Programming Guide" and "iOS 10 SDK". She records her journey down the rabbit hole on her personal blog at http://redqueencoder.com. 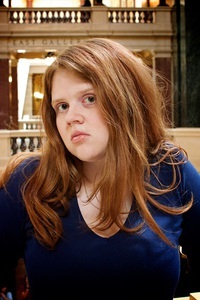 Janie lives outside of Madison, Wisconsin with her attempted grumble of pugs and multitude of programming books.